The use of flaxseed oil is beneficial for hair, oil improves hair growth, Treats brittle and thinning hair. 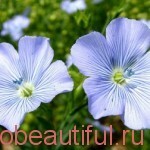 Linseed oil in the usual diet is offered as a sure way, to stay healthy and fit. flaxseed oil is beneficial for hair is estimated by experts around the world. This natural oil is produced from plant seed flax, also known as linseed oil. In the centers of health foods, flaxseed oil capsules, pills and other liquid versions are available for use as an additive. The benefits of flaxseed oil to the hair much talked, so how to solve the problem of dry hair, brittle hair, hair loss. But, making linseed oil so special for hair growth? Before we delve into its advantages, let's discuss the active ingredients, present in its composition. 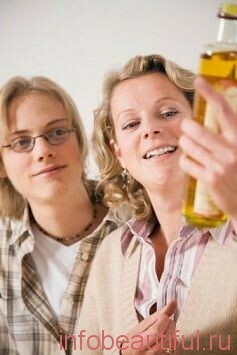 after studies, was found, that linseed oil contains the highest amount of omega-3 fatty acids, as well as other nutrients, alpha-linoleic acid, omega-6 fatty acid, lignany, proteins, vitamins, fiber, lecithin, potassium, magnesium and zinc. About 2,5 g omega-3 fatty acids, found in one teaspoon of flaxseed oil. Believe it or not, recoverable amount of essential fatty acids thereof in 50 percent higher, than in fish oil. This along with other essential fatty acids is crucial for all systems of the body, including heart, liver, eye, skin and hair. The advantage of linseed oil, It is, it enhances the growth of hair, heals brittle hair, dandruff, scalp psoriasis. The use of linseed oil and increased hair growth is often mentioned together. This oil provides the proper nourishment to hair, and inner and outer. Since nutrients are important for lush hair growth, Healthy hair is almost guaranteed. Of course, to care for hair, often they comb, wash, nourish and more importantly, minimize the use of chemical products. It is necessary to mention another advantage of flaxseed oil- restoration of normal hair growth. According to dermatologists, Low levels of omega-3 fatty acids, associated with excessive dryness of hair, brittle hair and a cross-section of the ends. This problem can be solved by applying its. 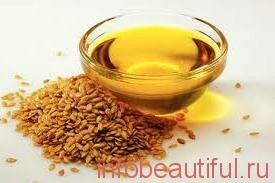 When hair disease, associated with eczema, psoriasis and skin diseases, the use of flaxseed oil is very useful. Anti-inflammatory effects of this natural oil heals skin problems, while essential nutrients promote hair rejuvenation. Hair loss is a problem for many men and women. poor nutrition, exposure to aggressive chemicals (shampoos and hair styling), stress, hormonal fluctuations and many other factors lead to hair loss. Hair loss in women (especially after childbirth) в основном вызвано резким изменением гормонального фона. В таком случае, прием льняного масла решает проблемы, связанные с гормонами (лигнаны помогают в регулировании эстрогенов), and the restoration of normal hair growth. Sales, raznobraznye hair gels based on linseed oil. Being aware of the beneficial properties of flaxseed oil for hair, many manufacturers of hair care using it in the formulation of its products. Nevertheless, choose the means, которое имеет максимальное количество довольных клиентов. Прежде чем принимать добавки с льняными семенами обязательно проконсультируйтесь с врачом, чтобы избежать побочных эффектов (If there are any). Small children, pregnant women and those, one medical problem, You do not ingest these supplements without a doctor's supervision. When, если вы действительно впечатлены эффективностью льняного масла, попробуйте использовать его непосредственно на ваших волосах. But, чтобы извлечь максимум пользы, make, что вы покупаете чистое, не фальсифицированное масло. 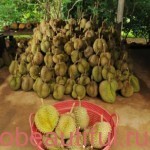 If it is possible, используйте природное масло, получаемое из органически выращенного льна. В течение нескольких недель, вы заметите улучшение текстуры и толщины волос.